This board is an evolution of the Arduino Uno R3 board. Identical form factor as the Uno but based on the ATmega328PB-AU (note the 'B'! ), this board has much more features than the Uno. Because it is backwards compatible you can think of it as revision 4 of the Uno, which is why we called it the R4. 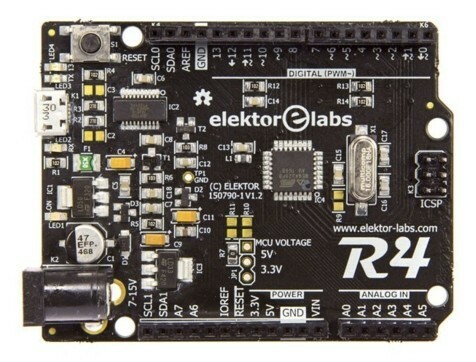 The circuit of the R4 is pretty close to the Uno. One of the main differences is the USB-to-serial converter for which an FTDI chip is used instead of another AVR. This saves on firmware/driver maintenance & device programming. The power supply is a bit stronger than on the Uno and of course four extra connector pins have been provided to accomodate Port E of the ATmega328PB. There are some more differences, like the touch controller. Please check the datasheet of the ATmega328PB for the exact details. 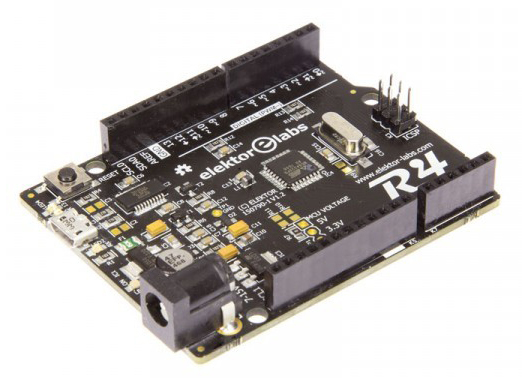 For more information about the Elektor Uno R4, read its page at Elektor Labs.